A lifelong resident of Northern Kentucky, Jeff is a full time Real Estate Professional who handles both the buying and selling side of a real estate transaction. His #1 goal is to provide you with the highest possible service and ensure that you will be more than satisfied throughout your entire process. His sole objective is to minimize your risks while increasing your opportunities all the while doing so in a relaxed, no pressure atmosphere. Honesty and professionalism are at the core of all his professional dealings. 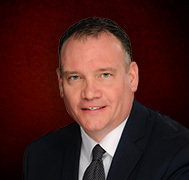 With all of newest real estate market information at his fingertips, Jeff is one step ahead of his competition and thus able to give his clients the most accurate, up-to date market information making his clients feel completely at ease in all aspects of the real estate process.